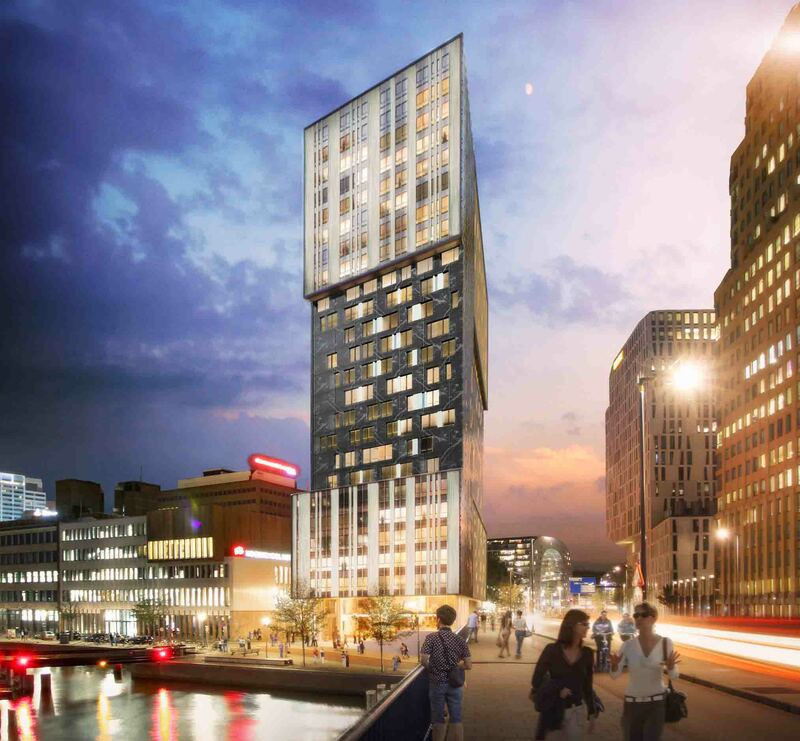 Located in the heart of Rotterdam, OurDomain Rotterdam Blaak will be a residential tower of 70 meters high with 24 floors, providing 612 rooms and apartments for students and young professionals. A high-quality apartment in an attractive urban environment, residents will be offered a mixture of services such as 24/7 hospitality, fitness, lounge, coffee bar, library, a large bicycle shed and a roof terrace with an impressive view of the Rotterdam skyline. 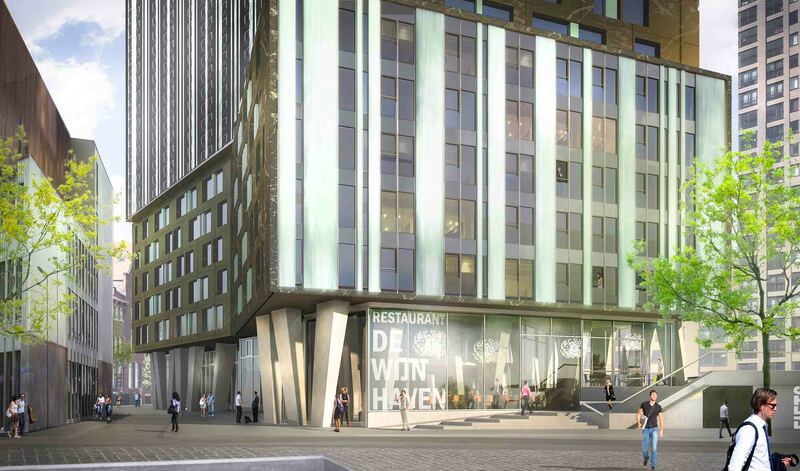 OurDomain is situated in the bustling Rotterdam Blaak, right in the city centre of Rotterdam. 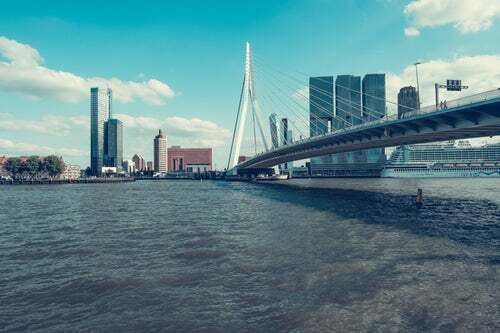 A port city – and once the gateway to Europe – Rotterdam prides itself with a truly dynamic culture and flourishing international business community providing an unrivalled scope for innovation and entrepreneurship. The growing metropole offers vibrant nightlife, a thriving creative art scene, and impressive modern architecture throughout the city. Location Wijnhaven 61 is located in the city centre of Rotterdam. The Academy does not provide parking for guests. Public parking garages are nearby (walking distance max 5 minutes). Parking is possible in the Markethall, the Red Apple or Wijnstraat. From Rotterdam Central Station take metro line D towards De Akkers or E direction Slinge. Change at the Beurs metro station on the A, B or C line towards Nesselande and get off at Blaak metro station. Walk 200 meters towards the south. 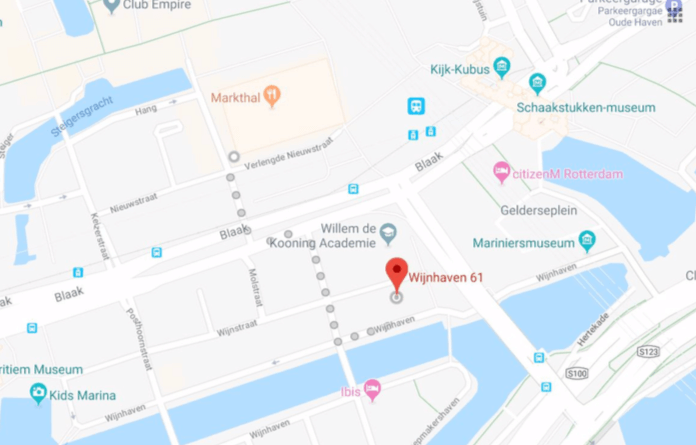 Wijnhaven 61 is located directly behind the Willem de Kooning Academy (the old bank building). Thank you! Your RSVP has been received! Oops! Something went wrong while submitting the form. Please check your details and try again.